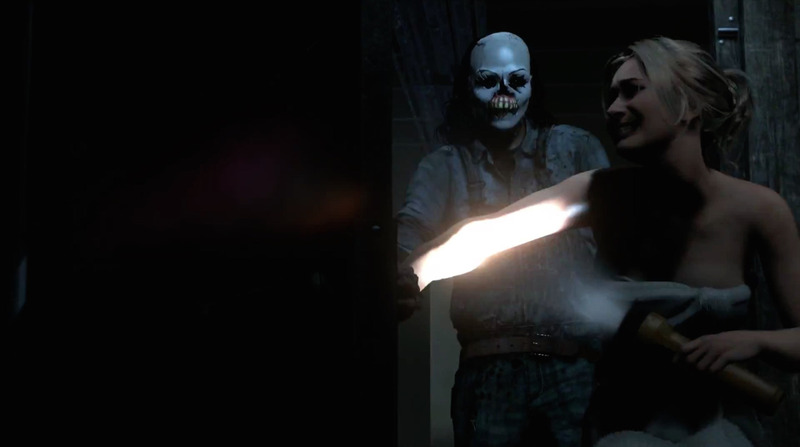 Until Dawn is a perfectly designed game for fans of all things horror. It’s a homage to classic b-movie horrors and slasher films, and has all the essential elements fans of the genre will be looking for: there are creepy woodlands; false scares which nonetheless make you jump out of your skin if you’re that way inclined; significant Native American legends from yesteryear and last but not least intellectually challenged bratty teenagers who inevitably do follow the dodgy music and make you less inclined to want to save them. The bratty teenagers are a group of 8 friends who become trapped on a remote (uh-oh) mountain (uh-oh) getaway, and who quickly begin to suspect that they aren’t alone. Well, they’re not all that intellectually challenged, then, as they’re right on that front. Their ‘companion’ is a masked serial killer hell-bent on finishing off the lot of them. I suppose, being kind, I should forgive a bit of bratty behaviour as even the nerves of the best of us would be tested by that scenario. 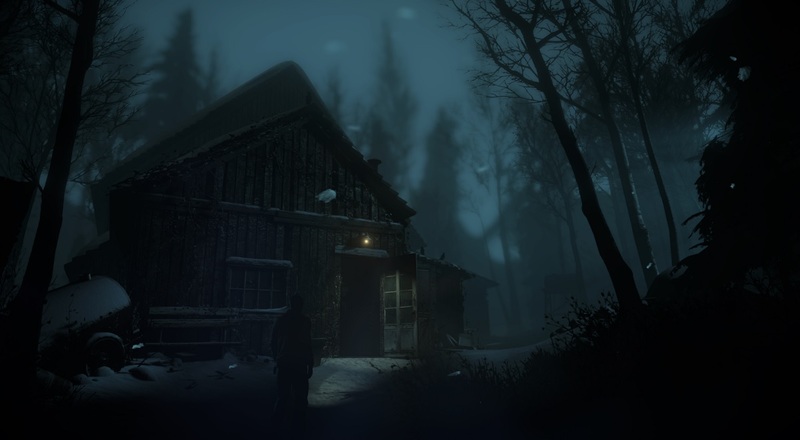 It’s worth saying at the outset – there is horror in abundance here, so if you are not a fan of this genre then stay away from Until Dawn, as nothing will convince you to like it – I know, I’m one of those people. If, however, you are happy to give these things a go then you won’t be disappointed as the game’s developers have done a stand up job of taking the best elements of this type of movie and applying it to their game. So for example, the teenagers effortlessly mimic what you might expect bratty teenagers to say (if they were trapped on a remote mountain getaway with hidden horrors at hand) and you’ll even find them doing dumb stuff like taking a bath in the house which contains the killers. Classic! So, what do you actually do with all of these kids? Well, the gameplay is essentially determined by your decisions on how the teens interact with each other and deal with the horror-related ‘ishoos’ they face. Will Brad (if there is a character called Brad; it feels like there should be) run away from the killer or hide in a nook or cranny instead? You choose which teenager to play as and the decisions you make will determine what happens to that individual, to the rest of the group, and ultimately to the outcome of the game. Alongside your independent decision-making, however, there are various clues dotted around which relate to the backstory and can help you to decide what you’re going to do next. There are also sneaky peaks into the future through the placement of totems. You can’t use these aids to completely assist you in deciding the best path to follow however, which for me is reassuring. They’re not handing anything to you on a plate! You can easily become fully immersed in this game – whilst walking through a snowy forest, for example, you will hear your footsteps crunching in the snow coupled with the wind in the trees and the various noises of the nearby animals… or was it the noise of something else? Something that wants you dead? The soundtrack on a game like this is key, too, and this one doesn’t disappoint – it certainly adds to the ‘Argh, that just scared the bejesus out of me’-factor. The backstory and the way the game handles your decision making are each done incredibly well and there is thus much to enjoy with this game – if you don’t mind jumping out of your skin now and then. The graphics are excellent, and the gameplay ensures that you can play this game a multitude of times without it getting old. One run-through of this game will take about 9 hours, but you can multiply this by, well, a rather large number, given all the various options you will face throughout the game and depending on your character choice. It’s also worth noting that, once started, the game prevents you from restarting to change any of your decisions – again, I quite like this feature. Not that it convinces me to give it a go; I’ve seen some of the screenshots and while the graphics are exceptional, they did leave me feeling rather squeamish! If you’re stomach’s stronger than mine then definitely give this a go.